All Is Well impresses with CSM55 ratings over 2% on the two channels that aired its finale last Monday. Nice To Meet You takes over for the rest of the week as the new ratings leader on TV. Pushing Hands starring Jia Nailiang and Wang Ou briefly brushes past 1% and averages at 0.965% on its premiere week. 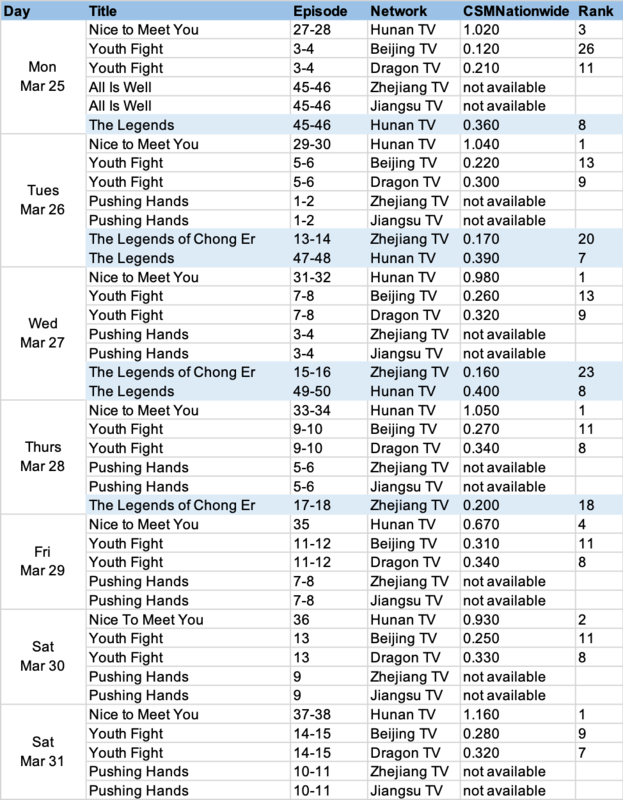 Meanwhile, Youth Fight has fared much better on its second week with TV ratings also close to 1%. It has also jumped to second place online. Zheng Shuang has received praise for improved acting and makes the top 10 list. Other new entries on the top 10 dramas including The Brightest Star in the Sky, Pushing Hands and Cold Case. Veteran actor Ni Dahong finally joins the rest of his All Is Well family among the top 10 celebrities. It's about time considering how popular his memes have become. 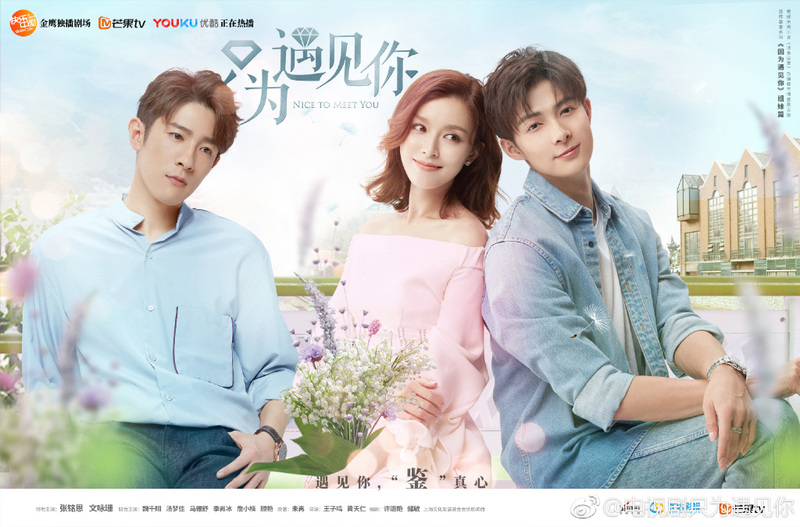 Nice To Meet You is the leading drama based on CSM Nationwide. All is Well is one example of how a drama script can be written for older actors/actresses and let them shine and to renew their name recognition. So glad that China has not fully embraced dramas just for the younger idol set, but is giving room for the actors/actress that are "older" than what the tween/Teen sent would usually go for.